Tales from Wonderland Volume 2. Artists: Daniel Leister and Neil Ruffino. Authors: Joe Brusha, Ralph Tedesco and Raven Gregory. The Red Queen finally has her chance at revenge. The shocking origin of the very first Mad Hatter comes to light, The Cheshire Cat is out in the real world and he’s ready to have some fun and Tweedle Dee and Tweedle Dum are doomed to repeat a nightmare of a lifetime. Contains Tales from Wonderland: The Cheshire Cat, Tales from Wonderland: The Red Queen, Tales from Wonderland: Tweedle Dee & Tweedle Dum, and Tales from Wonderland: The Mad Hatter part 2. The Final Alice by Alycia Ripley. (Self) Published by Trafford Publishing, 2011. Hardback, print on demand, with dust jacket. When thirty year old Alice Pleasance feels her life and writing career going nowhere, she fears her namesake ancestor, a resourceful girl immortalized in a classic novel, would be disappointed by and ashamed of her failures. This fear is abated when Alice is approached by a talking deer who explains that Alice has been chosen to battle the Red King, a manipulative and evil shape-shifter, in order to thwart his plans to infect and control humanity. Mysterious and ominous appearances of the numbers 10:10 convince Alice that although she may not know what is coming, she must relinquish self-doubt to defeat it. Joined by a makeshift army of two telekinetic children, a dog who grows to dragon-size, a pair of ex-soldier Nigerian twins, and a bodiless Compass who desperately wants to become a real girl, Alice prepares for a terrifying and unpredictable confrontation. A ring of child pornographers, cruel office managers, sadistic cheerleaders, and a two-headed contractor are only some of the obstacles Alice must face and eliminate in order to own her role in a family well-versed in nightmarish fairy tales and spiritual riddles. Funny, poignant, provocative, and disturbing, the story illustrates the epic details often existing in everyday life, the power of imagination, and the requirements of redemption. This surreal, adult adventure is a new slice of Wonderland for a very modern audience. ‘Alycia Ripley’s fine novel deserves to be read, re-read, analyzed, debated, and perhaps become the sacred text of a passionate cult.’ James Ponsoldt, writer/director of Off the Black and Junebug and Hurricane. … somehow suggests that ‘mate of author’ should be added to the reviewers list of achievements…? Gladys in Grammarland and Alice in Grammarland: Two Educational Tales Inspired by Lewis Carroll’s Wonderland by Audrey Mayhew Allen and Louise Franklin Bache. Illustrations for ‘Gladys’ by Charles Raymond Macauley, who was a newspaper cartoonist published in the New York Daily Mirror. ‘Alice’ is illustrated by Henry Clarence Pitz. Published by Evertype in a new edition, 2010. Originally published 1897 and 1923 respectively. I’d love to get copies of the original printings of these, but no luck so far. Good old Evertype though, providing readable copies of hard to find books. You can read an excerpt and order a copy over on Evertype’s site. Trevor Brown’s Alice: illustrations by Trevor Brown. With essays by Long Gone John and Kyo Satsuki. Translated by Don Kenny and Ei Kaneko. Published by Treville Pan-exotica/ Kenichi Kawai. Trevor Brown (born 1959 in London) is a British artist who is currently living and working in Japan. His work explores paraphilia/ fetishes, so this is not a children’s Alice. The book is a catalogue of sorts for his current gallery show at Bunkamura Gallery in Japan. This special edition of the book features a pink spined jacket and a “diy pop-up kit” – which is really an extra book cover containing cards with shapes to cut out and assemble – all done up in the pink gros-grain ribbon. You can see some of the pictures here, which is where I bought it. (Thanks to the lovely and helpful Katie). You can also order the standard edition- in blue and without the pop-up section. As I say, the pop-up part of the package needs cutting out before assembling, so I expect mine will stay untouched. You can see what it should look like here. 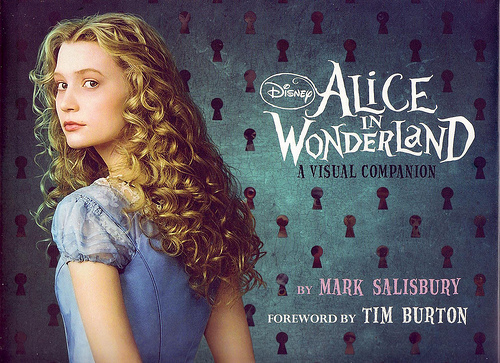 Alice in Wonderland: a Visual Companion by Mark Salisbury, with a foreword by Tim Burton. 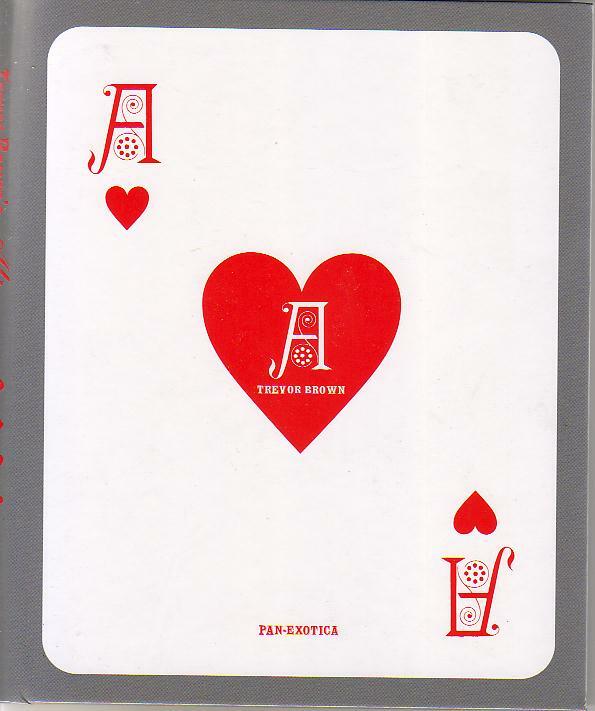 Published by Disney Editions (16 Mar 2010). Hardback first edition with dustjacket. 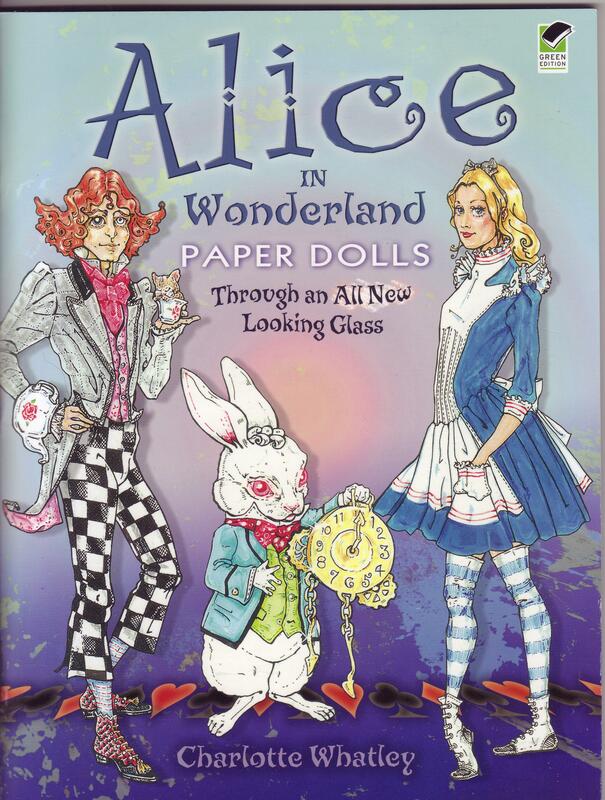 Think you know the classic story of Alice and her adventures in Wonderland? Think again because renowned director and producer Tim Burton (The Nightmare Before Christmas, Corpse Bride, James and the Giant Peach, Edward Scissorhands, Beetle Juice, Batman) has applied his signature style to this beloved tale! The “Making/Art of” takes readers to the world behind Burton’s camera, revealing the secrets of performance-capture technology, the marriage of live-action and CGI technology, and the final result in a singular, artistic format. Fans will delight in reading about Johnny Depp’s portrayal of The Mad Hatter, and Anne Hathaway’s of The White Queen, to name just a few of the star performances. And, of course, this gorgeous book chronicles some of Tim Burton’s most unique techniques!